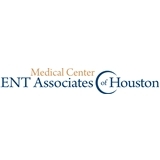 Medical Center ENT Associates of Houston, PLLC (Houston) - Book Appointment Online! ****Please DO NOT complete the ZocDoc forms. Please note that we do have a $50 no show and/or less than 24hr cancelation fee. *** Our practice utilizes an Electronic Medical Record (EMR) and you will receive an e-mail inviting you to the Patient Portal. You will also receive an e-mail reminder prior to every appointment which will allow you to complete/update the information you would have entered in ZocDoc. NOT PROVIDING CURRENT INSURANCE INFORMATION 1-2 DAYS BEFORE YOUR APPOINTMENT CAN DELAY YOUR APPOINTMENT DEPENDING ON HOW LONG IT TAKES TO CONTACT YOUR CARRIER AND VERIFY YOUR INSURANCE! PLEASE CONFIRM WE ARE IN NETWORK WITH YOUR INSURANCE PLAN; IF NOT WE CAN SEE YOU AS SELF PAY. Our goal is to provide excellent care to patients with problems of the ears, nose and throat (ENT). We care for patients of any age. Our staff is well trained, personable and professional. We strive to provide a warm, comfortable atmosphere in our practice for the benefit of our patients. Almost no wait time, Dr. Cooper has great bedside manner and is very good at breaking concepts down and addressing questions/ concerns, I would definitely recommend! She very nice and helpful. She was professional and concern about My conditions.